Sloanbook: Hockey, Food, & a Craft Fail. So um first picture, horrible lighting I know. 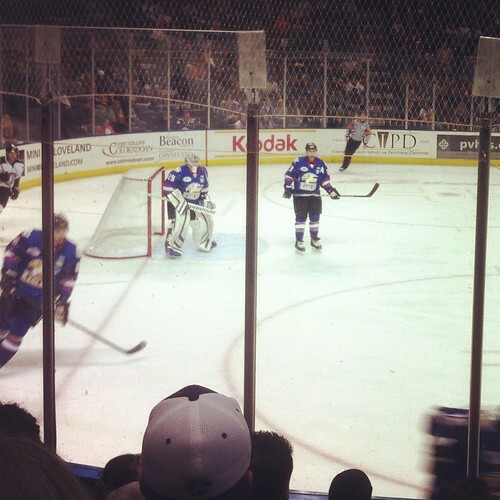 But we were there on a little date, to watch the Colorado Eagles play the Las Vegas Wranglers last Saturday, January 28, 2012! But before our date, I attempted to make a casserole. All I knew was that we had a bunch of potatoes and I remembered we had a bag of frozen broccoli so I wanted to make a broccoli potato cheesy casserole! I found several recipes online and improvised throwing in what we had at home. I added: 6 cut up potatoes, 1 bag of frozen broccoli, the remainder of our shredded cheddar cheese (wasn't much), bacon bits, a squirt of mustard, cream of mushroom soup, milk, the remainder of our sour cream, salt, pepper, and I think that is it! I cooked it at 350 degrees for an hour (that's what it said online on a recipe) but the potatoes weren't done so we had to scarf down a bowl of cereal before the game and eat this afterwards! Overall, I'd say it was a good thrown together meal! 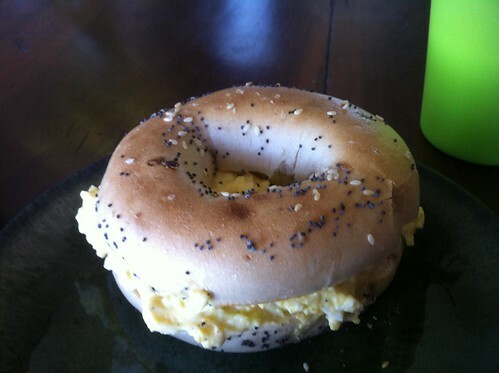 1 // An everything bagel with egg salad - amazing. With it we had apricot jello with real mandarin orange slices in it with reddiwhip on top, delish! 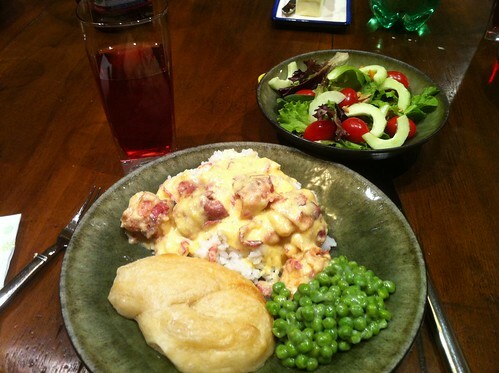 2 // Bacon wrapped chicken pieces with sauce on rice, a roll, peas, and a fresh salad! We drank cranberry juice w/7 Up mixed in. 3 // One of my favorite German cuisines! 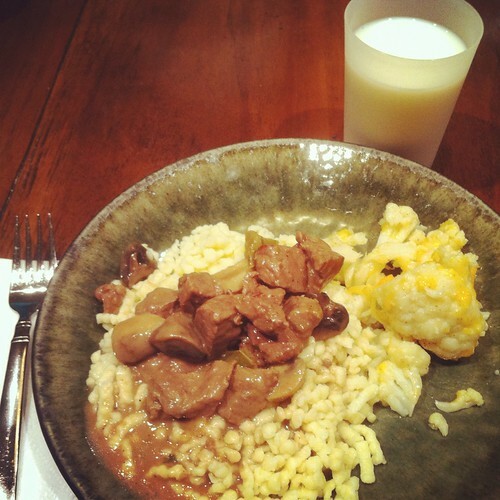 Goulash with spaetzle and for a side cheesy cauliflower! And here we have Katinka with the remainder of a bone I recently bought her! She will NOT set it down. It cracks me up. 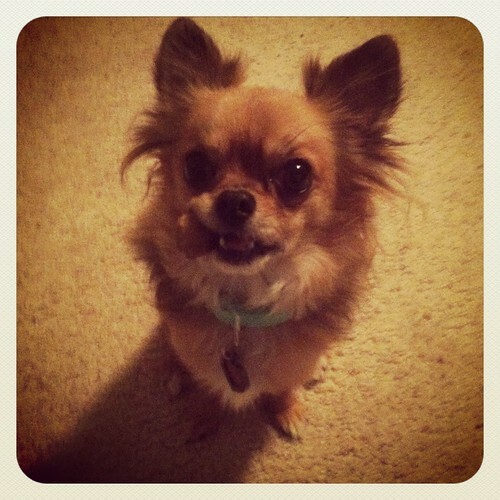 Oh and that mint green collar is a pheromone collar that is supposed to help her relax when we put her in her kennel! It sure smells strong...hope it knocks her out haha. 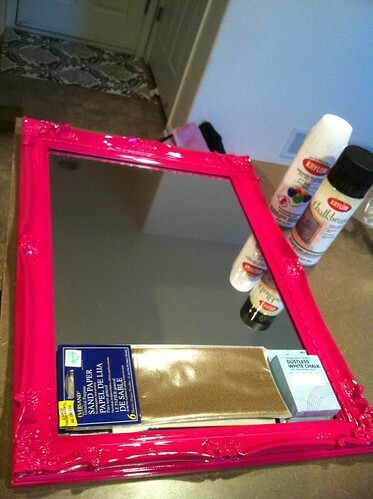 I bought this pink framed mirror at Hobby Lobby with white and chalkboard spray paint. Here is the result...good looking right? Well, guess what? The chalk wouldn't write on it! 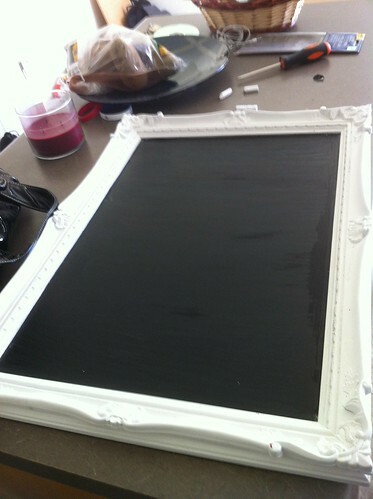 I googled chalkboard mirror tutorials, chalkboard anything tutorials, and couldn't figure out why it wouldn't work! Everyone and their dog's chalkboard crafts turned out totally fine! I primed the chalkboard by rubbing chalk all over it and wiping it off and I also scribbled furiously all over it and wiped it off! We followed every direction on the can! Only thing suspicious was that there wasn't a little ball in the spray paint can. Basically that little ball mixes around all of the ingredient in the paint can...so without it...screwed apparently. The white can had one and the chalkboard one didn't. I called Krylon (the paint brand) on Monday and they said that is why it didn't work (well they think). I bought the one freaking defective can of paint out there! 1) I am not a fan of being crafty. And the one time we try it doesn't work! Otherwise I will freak haha. Have you ever had a craft fail? What did you do? I would love to go to a hockey game sometime. I've only ever seen it on TV. Thats living in Nebraska for ya. You always have so many amazing pictures of food on here....and I always leave wanting to eat them! :) The chalkboard looks so cute....maybe you can still figure out how to make it write! Bummer! Your craft came out super cute too! All the amazing pictures of food negate any kind of craft fail. I'm sure you can find something on Pinterest? Girl, chalk board paint/not pray paint has worked for me, every time. Becasue I am 5 and draw on everything, still. Hockey games are so much fun.. especially the fighting parts! I need a craft buddy.. Too bad you live too far away! your food looked awesome! sorry about your craft fail - hopefully the second can worked - that is frustrating! 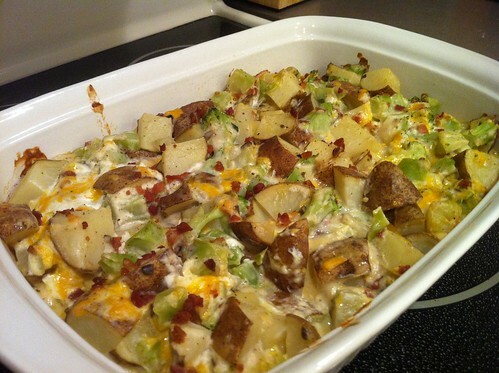 casserole looks yummy :) and ohh your not the only one with craft fails! I almost never finish something I start since it never seems to work out! okay im trying not to eat after eight.. and you just made me drool! ha! what a fun date night :) okay and let me know if the chalk worked that time.. if not i am going to email you the kind i use that works fabo! 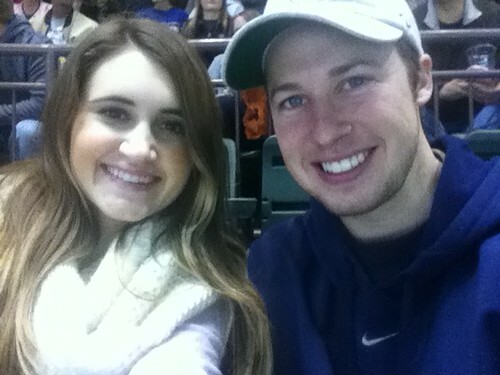 We just moved 3 hours south from our hockey team and I'm so sad :( we LOVED going to games! I guess we will be going to Vegas now to watch some hockey! So sad about the chalk paint because that is the CUTEST idea ever! 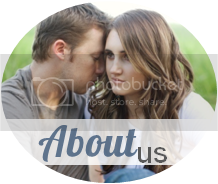 Love the frame you picked!